Every summer, our host Jimmy Moore takes some time away from the podcast to make his way to Southern Indiana to visit his wife Christine's relatives who live in a town called Bedford. When an internal medicine physician who uses low-carb nutrition with her patients named Dr. Sarah Hallberg heard he would be traveling to her home state during the July 4th weekend this year, she invited Jimmy to come to speak to her patients and hospital colleagues at Indiana University Health Arnett Hospital in Lafayette, Indiana about the content his bestselling 2013 book Cholesterol Clarity: What The HDL Is Wrong With My Numbers? 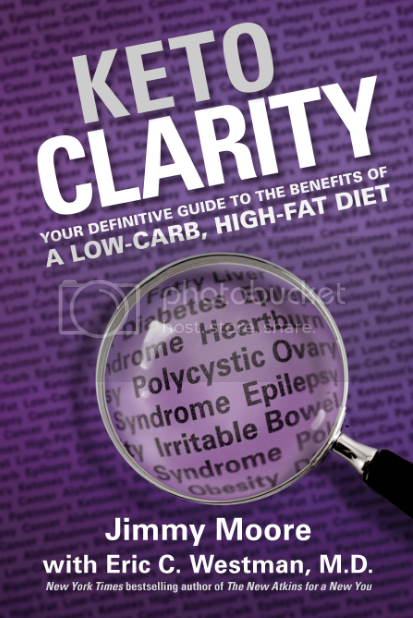 as well as a sneak peek at his not-yet-released at the time August 5, 2014 book release Keto Clarity: Your Definitive Guide to the Benefits of a Low-Carb, High-Fat Diet. There were 100+ people in attendance at this standing-room-only event over the Independence Day holiday weekend and Jimmy delivered the cholesterol lecture he was going to give (but gave up his time slot to another speaker) on this year's Low-Carb Cruise entitled "12 Things We’ve Gotten All Wrong About Cholesterol." 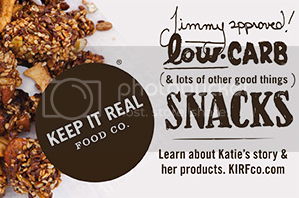 Listen in to hear Jimmy briefly share about his success with the low-carb, high-fat, ketogenic diet, the 12 major flaws in the way we currently look at cholesterol and heart disease, a very open question and answer session that garnered a wide variety of fascinating questions from the attendees very interested about learning more about the ketogenic diet, and so much more. 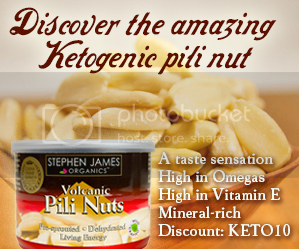 This event was such an overwhelming success, they've already invited Jimmy Moore to return again in the summer 2015 to give a full lecture on ketosis. ENJOY this exclusive audio lecture from your favorite podcast host. 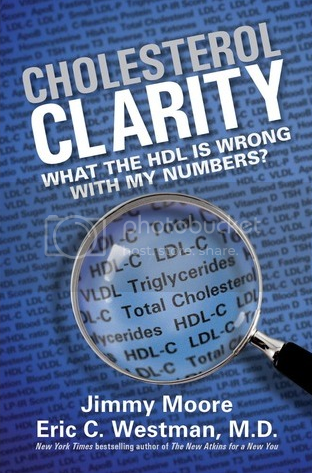 - Cholesterol Clarity: What The HDL Is Wrong With My Numbers?